This article first appeared in The Edge Financial Daily, on November 26, 2015. 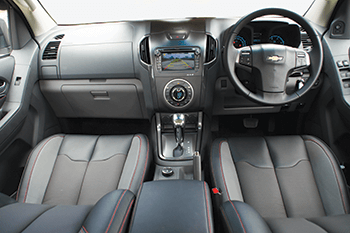 Naza Quest Sdn Bhd, the official distributor of Chevrolet cars in Malaysia, recently launched the Chevrolet Colorado Sport and Cruze Sport variants, and both models are now open for booking. 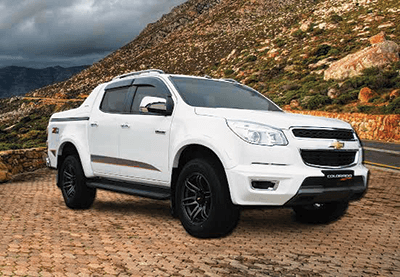 The Colorado Sport is based on the Colorado LTZ Muscle, which boasts a 2.8-litre four-cylinder DOHC Duramax diesel engine that delivers 200PS at 3,600rpm and a best-in-class 500Nm of torque at 2,000rpm, making the Colorado Sport the most powerful in its segment. The updated Colorado Sport edition comes with a rugged and aerodynamic styling, which includes a stylish front bumper guard, side fender, door visor, rear roll bar and 18-inch (46cm) alloy wheels. The interior oozes class with premium full-leather seats, and leather door trims and a reverse camera, too. The new variant offers superior handling with fully adjustable suspension. The sports suspension improves ride comfort and on-road handling, while the lowered height adds to the overall aggressive look. The Colorado Sport’s standard equipment and accessories include: A Duramax engine, electronic 4WD shift switch, auto climate control, Chevrolet Mylink, projector headlamp, frameless windscreen wiper, LED tail lights, power drive lock engagement, six-way power drive seat adjustable, semi-bucket leather seats, traction control, cruise control, multi-functioning steering, electric stability programme, anti-lock braking system, hill descent control system, hill start assist, Chevrolet StabilitiTrak, six-speed auto transmission with a shifter knob, electronic brake-force distribution (EBD), cornering brake control, hydraulic brake assist and panic brake assist. In addition, the Colorado Sport has been awarded with the five-star Asean NCAP safety rating. The ultimate 4x4 Colorado Sport pickup truck is priced at RM138,967 on-the-road, inclusive of insurance and road tax. It comes with a warranty package of three years or 100,000km (whichever comes first). 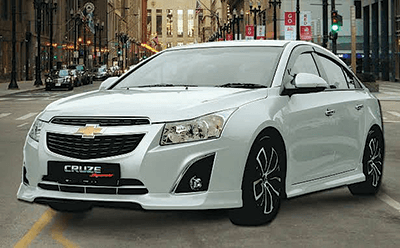 The Cruze Sport flashes a new stylish and sleek design that has a new front fascia, aerodynamic-design bodykit, added door visor and alloy lightweight wheels. 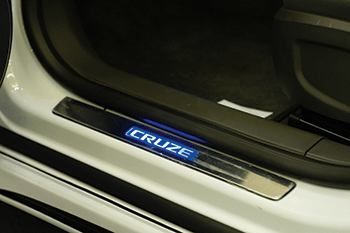 The Cruze Sport interior includes premium leather seats, LED doorsill plates and added footrests. The new Cruze offers better performance via throttle alignment for quicker and more responsive throttle response, and an improved air filter with stainless steel. The Cruze Sport offers Euro-tuned ride and handling that provide a strong sense of stability and roadholding solidity for greater driving confidence and enjoyment. The Cruze Sport also boasts enhanced body-frame structural strength to reduce the risk of injuries from collisions. The electronic stability control provides directional control in difficult and emergency driving situations, while the EBD controls brake pressure on all four wheels to maintain balance and stability of the vehicle. The new Cruze edition comes with a multi-information display with personalised settings — conveniently displays contacts and music, providing connectivity for Bluetooth and USB applications. It also utilises advanced technology with its remote keyless entry, which allows access and secures the vehicle without touching a key and passive entry push start that make for greater convenience. Under the bonnet, the Cruze Sport is powered by the 1.8-litre Ecotec DCVCP — a powerful and efficient engine of 140PS and 167Nm of torque with double continuous variable cam phasing technology for smooth and efficient driving experience, plus improved fuel optimisation. Comfort and safety, the hallmarks of Chevrolet, are displayed in the Cruze Sport’s Triple Isofix points — simple and direct connection for child car seats to the vehicle’s Isofix points. The low noise, vibration and harshness allow for greater driving comfort. The dual-zone cockpit is designed for optimal comfort for both the driver and passengers through efficient space optimisation. The Cruze Sport is priced at RM122,868 on-the-road, inclusive of insurance and road tax. It comes with a warranty package of five years or 200,000km (whichever comes first). 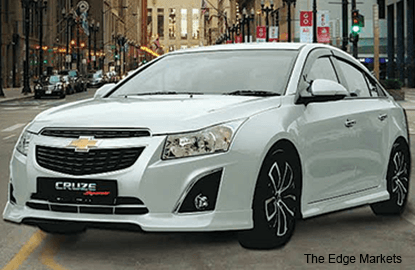 As an added incentive, Chevrolet, the iconic brand that is well known worldwide for its unique “Chevy bow tie” logo, is offering cash rebates of RM12,500 for the Cruze Sport and RM6,000 for the Colorado Sport (while stocks last). Both the Colorado Sport and Cruze Sport editions will be showcased to the public at the upcoming One Utama Auto Fair, Highstreet Zone, from Dec 2 to 6. Chevrolet is the official sponsor of the legendary football club, Manchester United, which sees the iconic “Chevy bow tie” logo on the club jerseys since the 2014/2015 season. In conjunction with the partnership with Manchester United, Chevrolet in Malaysia is offering customers who register any model from now to Dec 10 a chance to participate in the Manchester United For Live contest. The grand prize is two VIP hospitality match tickets to watch the Manchester United versus Chelsea game at Old Trafford on Dec 28. The package also includes two flight tickets and five days/four nights’ hotel accommodation. “The introduction of the Chevrolet Colorado Sport and Chevrolet Cruze Sport adds a fresh new styling and performance twist to the models. The new sport models offer customers a distinctive ownership experience and styling option. As an added incentive, we are offering enticing cash rebates and a chance to watch the Manchester United versus Chelsea game live at Old Trafford for those who purchase the cars,” said Thoo Ai Wuen, vice-president one at Naza Quest. “The Chevrolet brand is recognised worldwide for its safety and reliability — qualities every car owner appreciates. Our entire Chevrolet range features a winning combination of exceptional safety, practical style and function. There is really no greater time to own a Chevrolet,” said Thoo. For more information on Chevrolet, call 1-800-2-CHEVY (24389) or visit www.chevrolet.com.my. Follow Chevrolet Malaysia Facebook, @Chevrolet_MY Twitter and Instagram for the latest updates and offerings.